How to manage android phone from the computer? 3) Wi-Fi router to which both the Android phone and the computer can connect to. The computer may be connected to the router over Wi-Fi or connected by LAN cable. If the above requisites are met, then we can proceed to access and manage the Android phone from the computer. 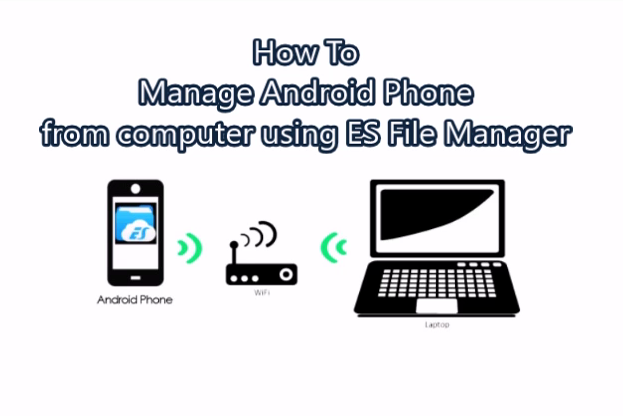 Please watch this short demo video to see the steps on how to manage Android phone from computer using ES File Manager or read on for the steps. If the above prerequisites are met and the steps followed, then you should be able to see the Android phone's files and folders on the computer. And you can copy file to and from the computer or do other file management (cut, copy, paste, delete etc) on the Android phone from the computer. Was this post helpful? Or Have you tried this yet? Or if you are facing some issue which we can look into it together, do let me know in the comments.